Infidel is defined literally as "one without faith." Today the label infidel is technically an archaic term referring to anyone who doubts or denies the tenets of whichever religion is most popular in their society. According to this definition, an infidel in one society may be a True Believer in a neighboring society. Being an infidel is thus always relative to whatever religion possesses the most social, cultural, and political power in one's society at any given time. As such, being an infidel doesn't always equate to atheism. 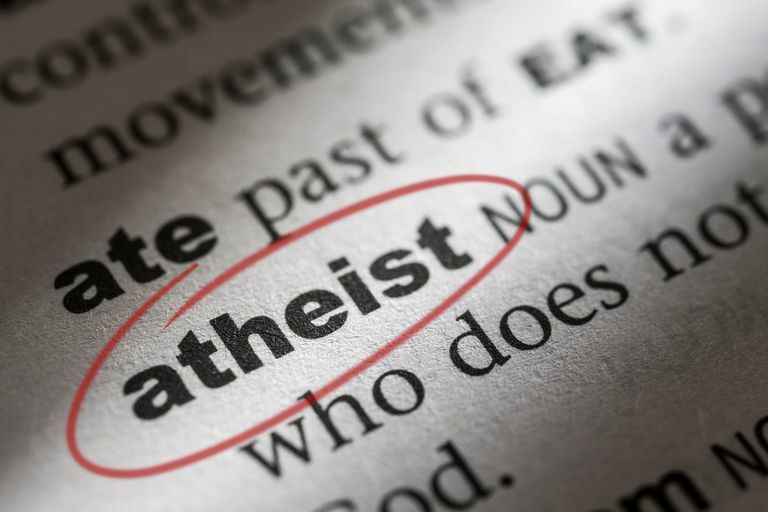 During the modern era some atheists have adopted the definition of infidel for their own use and to describe the fact that not only do they not believe in any , but also that they question, doubt, and challenge the tenets of popular religion of their society. Atheists who deliberately adopt the label "infidel" reject the negative implications of the definition of term. These self-described infidels argue that the label should be treated as a positive one. 1. One who does not believe in (what the speaker holds to be) the true religion; an ‘unbeliever’. 2. In specific applications: a. From a Christian point of view: An adherent of a religion opposed to Christianity; esp. a Muhammadan, a Saracen (the earliest sense in Eng. ); also (more rarely), applied to a Jew, or a pagan. Now chiefly Hist. 2.b From a non-Christian (esp. Jewish or Muhammadan) point of view: Gentile, Giaour, etc. 3.a. disbeliever in religion or divine revelation generally; especially one in a Christian land who professedly rejects or denies the divine origin and authority of Christianity; a professed unbeliever. Usually a term of opprobrium. Long-time Christian usage of the term "infidel" tended to be negative, but as demonstrated by definition #3, both A and B, this was not always the case. The label infidel could, at least in theory, also be used in a neutral way to simply describe someone who wasn't a Christian. It thus did not absolutely need to be regarded as inherently negative to be a disbeliever. Even an ostensibly neutral usage, though, can carry something of an undercurrent of condemnation from Christians because of the common assumption that being a non-Christian means being less moral, less trustworthy, and of course destined for hell. Then there is the fact that the term itself is derived from roots that mean "not faithful" and from a Christian perspective it would be difficult for this to not carry some negative connotations. Skeptics and secularists started adopting the label infidel as a positive description during the Enlightenment after it had already been applied to them by church leaders. The idea seems to have been to take it as a badge of honor rather than hide from it. Thus infidel started being used as a label for a philosophical movement dedicated to reforming society by removing the negative influences of traditional religion, religious institutions, and religious superstitions. This "Infidel Movement" was secular, skeptical, and atheistic, though not all members identified as atheists and the movement was distinct from other Enlightenment movements which advocated secularism and anti-clericalism. Early in the 20th century the label infidel fell out of favor because it came with too many negative connotations in Christianity. Many gravitated instead to the label "secularism" because it was something which both irreligious atheists and liberal Christians could adopt together. Others, especially those with a more critical attitude towards traditional religion, gravitated to the "freethinker" label and freethought movement. Today use of the label infidel is relatively uncommon, but not entirely unheard of. Infidel still carries some negative baggage from Christianity and some may feel that its use means accepting a Christian conceptualization of how to understand people. Others though still see value in taking epithets and "owning" them through new use and new associations.